I don’t know about you, but I’ve certainly had times in my life when I simply couldn’t sleep. And it’s extremely disturbing when you can’t sleep. It can be especially frustrating when you know you have an important day of work or a workout the next day and you know you’re going to be too tired, or when you’re extremely sleepy, but you just can’t get your darn brain to shut down. …and sometimes insomnia can be purely biological, such as you being hungry, or having a neurotransmitter imbalance, or being over trained from too much exercise or not producing enough melatonin. In today’s article, I’m going to tell you what you need to know about the important biology of sleep, give you a video that explains your circadian rhythm in detail, and then tell you how to hack your sleep, beat insomnia, and get into a deep sleep phase as fast as possible. …weakens your immune system (and for athletes, getting sick = less training or poor training). …leads to obesity. Recent studies have shown that even one night of poor sleep can result in changes in appetite and food intake. Sleep deprivation also impairs carbohydrate tolerance, insulin sensitivity, and glucose uptake. When glucose uptake is inhibited, you aren’t able to refuel before, during, and after your workouts. …causes intellectual decline. Sleep deprivation negatively impacts short-term and working memory, long-term memory and the generation of nerve cells – all of which affects our ability to think clearly and function well. …raises inflammation. Sleep deprivation causes chronic, low-grade inflammation. Inflammation is the root of all modern disease and severely inhibits the bodies’ ability to repair muscles, tissue, and tendon damage. …increases risk of injury: When you don’t get enough sleep your motor responses are dulled, this leads to bad form, inefficient neuromuscular patterns and injury. -use the PZizz iPhone app to create “binaural beats” (read about how those kind of beats work here). I’ve found this works really well for short naps, but not so well for long nights, and you need to use them about 5-10 times in a row before you brain gets “trained”. -use a White Noise app for sleeping loud settings (if you’re sleeping where dogs are barking, kids are crying, trains, sirens, airplanes/airports, etc.). -use something like the Dream Essentials contoured face mask with fitted ear plugs to block light and sound altogether. -Get the “The Delta Effect” CD’s/mp3 downloads to play as relaxing background to lull you to sleep in your bedroom. 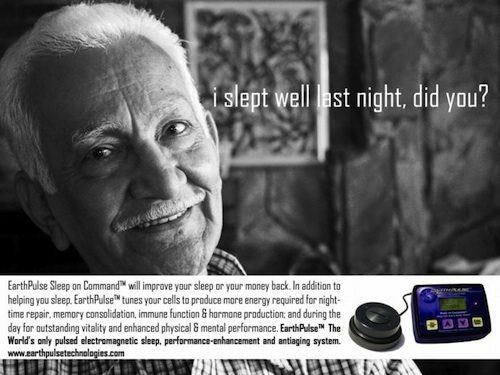 There are a variety of supplements that can be used to enhance sleep. These require some degree of self-experimentation, because some work for some people and some don’t. This is because insomnia, light sleep, or trouble getting to sleep can be so dependent on a variety of factors – such as neurotransmitter balance, mineral deficiencies, leptin insensitivity, melatonin secretion, etc. -400-500mg potassium citrate combined with 400-500mg Natural Calm magnesium (use this 30-60 minutes prior to bed, and back off if you get loose stool!). If magnesium upsets your stomach, listen to this podcast about which magnesium is best. -2-3 tablespoons MCT Oil or coconut oil 30-60 minutes prior to bed. This works well if appetite cravings keep you awake, but you don’t want an insulin spike from carbohydrates or protein. –MillenniumSports Somnidren GH (can be very effective, but you must use this on an empty stomach, 30-60 minutes prior to bed, and you have to cycle it as 5 days on, 2 days off so you stay sensitive to it). -Hammer REM caps (use 15% referral code 80244 at http://www.HammerNutrition.com) – a source of valerian root and melatonin that can be especially effective when traveling. Take 60 minutes before bed because if the surge of melatonin hits your bloodstream while you’re sleeping it can wake you back up. -Wear blue light blocking glasses, especially for evening computer use. I recommend Gunnar glasses because they look cooler than most of the others. -Install low blue light bulbs as a replacement for regular bulbs in your house, and put ablue light blocker screen on your computer or television. -Use Pulsed Electromagnetic Field Therapy for enhancing deep sleep cycles (I highly recommend the EarthPulse and swear by it for naps, long deep sleep and travel). -Use a light box such as NatureBright Sun Touch for morning light therapy, and click here to learn about what time of day is best to use a light box. -In the winter or season when it is dark in the morning, use a Sunrise Alarm Clock for waking and “rebooting” your circadian rhythm. -If traveling, use a grounding mat or grounding bedspread (stand on for 20 minutes and use in bed at night after arriving at destination) or go outside barefoot in the morning whenever you are travelling outside your normal time zone). What about you? Have you ever had insomnia? Have you found good insomnia natural remedies? Do you have questions about how to hack your sleep, beat insomnia and get into a deep sleep phase as fast as possible? Leave your thoughts below.